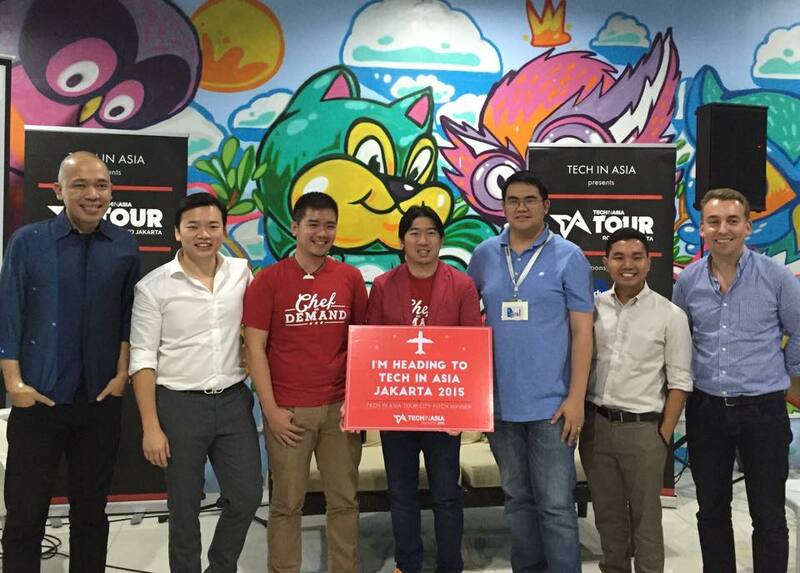 Cebu-based startup Chefs on Demand wins the the Manila leg of Techin Asia's Road to Jakarta 2015! Tech In Asia's Road to Jakarta 2015 Manila leg was won by Cebu based Chefs on Demand. The winners will be showcasing their startup in Jakarta, Indonesia from November 11 - 12, 2015. Chefs on Demand is a startup by Bryan Yap, Jed Hatamaso and Francisco Menguitos that enables those in IT Park in Cebu City to order gourmet food online and have it delivered to them. Chefs on Demand gives everybody the experience unique culinary creations from selected talented chefs in Cebu.The app is currently in its beta phase. Held in Singapore, Japan and Indonesia tri-annually, Tech In Asia Conferences presents newly launched and product ready start-ups from the region. These start-ups will be Bootstrap Alley exhibition showcase will get an opportunity to present and have their products tested by more than 1,500 international tech-savvy adopters. These startups who win in each leg of the tour will win free flights and accommodation, have their own startup booth and conference passes.